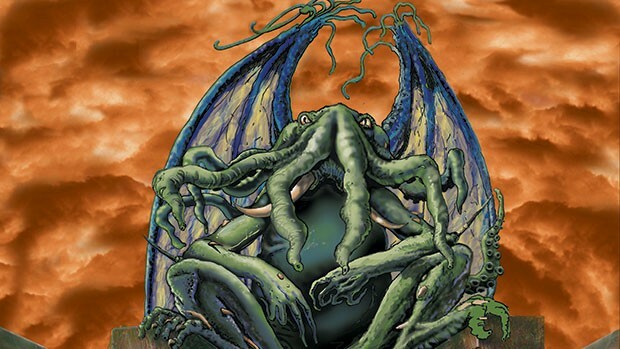 And to round out the slew of posts today I’m very happy to finally announce my Lovecraftian-action novella ‘Vanguard’ (an adaptation of a screenplay I’m currently shopping) will be appearing in the long-awaited anthology Cthulhu: Deep Down-Under. Edited by giants of the Australian weird fiction field Christopher Sequeira﻿, Steve Proposch﻿ and my old mate Bryce Stevens﻿, CDDU will be announced/presented to the world Oct 18 & 19 at Armageddon Con in Melbourne. It’s been torturous to keep quiet all year about this, so I’m sure the other amazing writers & artists in this collection are just as thrilled we can finally go public. How’s this for a role call: Stephen Dedman﻿, Greg Chapman﻿, Kaaron Warren﻿, Geoff Brown﻿, Jason Fischer﻿, Steven Paulsen﻿, Robert Hood, Lucy Sussex, Nick Stathopoulos, and many many more. Not to mention an intro by Ramsey Campbell. The boys have excelled themselves collating this.